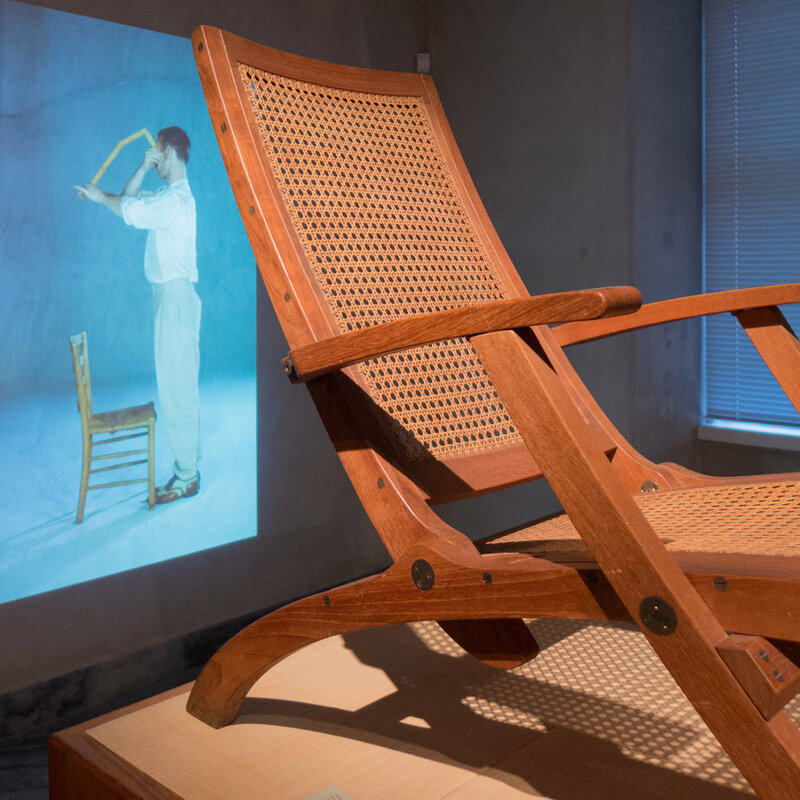 Hans Wegner designed a number of rocking chairs that were inspired by the 19th-century Shaker rocking chair in the collection at the design museum in Copenhagen. 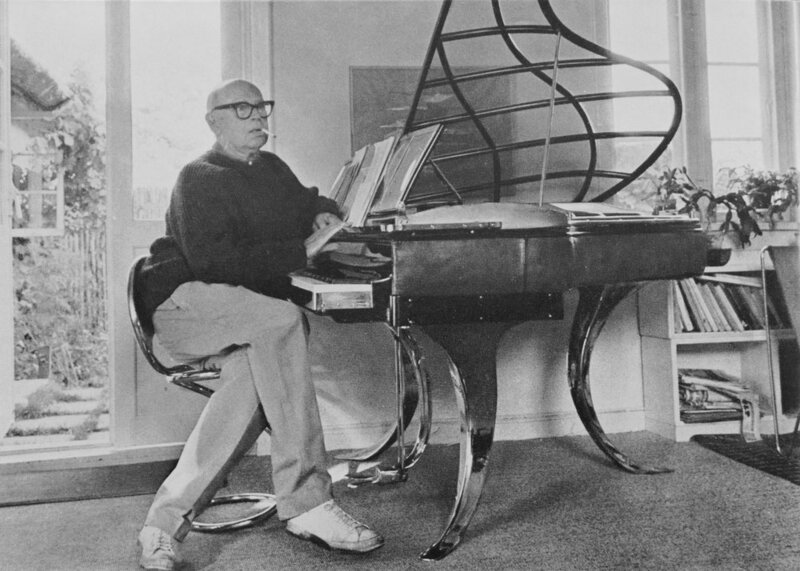 He copied the simple, straight, turned legs that are bird-mouthed over the shaped and distinctive rockers and he copied the vertical and distinctly upright and high back posts of the chair. 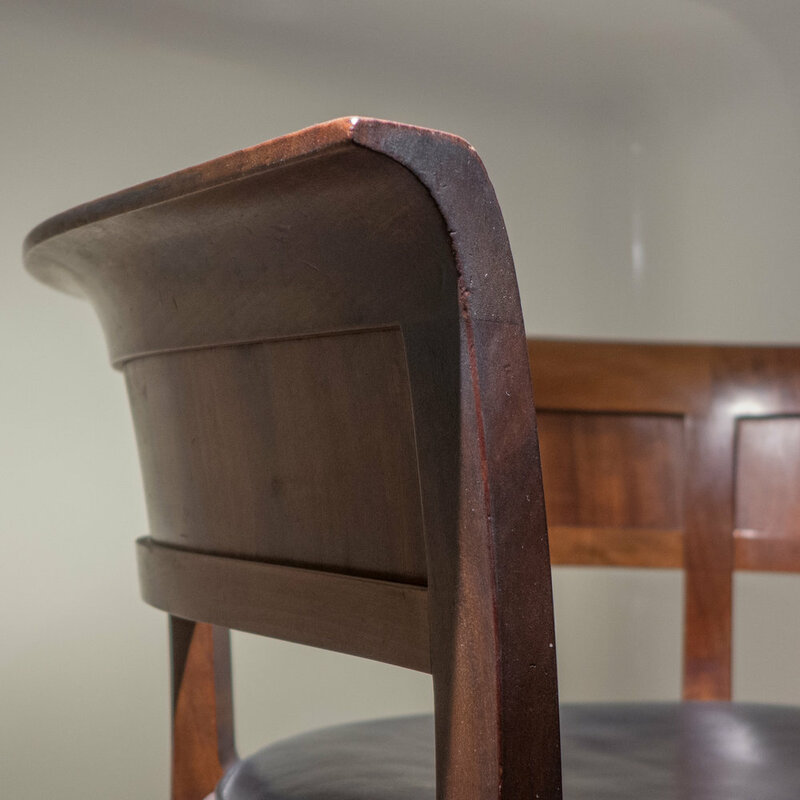 However, in this version, he combined those distinct elements with the vertical rails of the back and a deeper head rest that were inspired by traditional Windsor chairs from England. 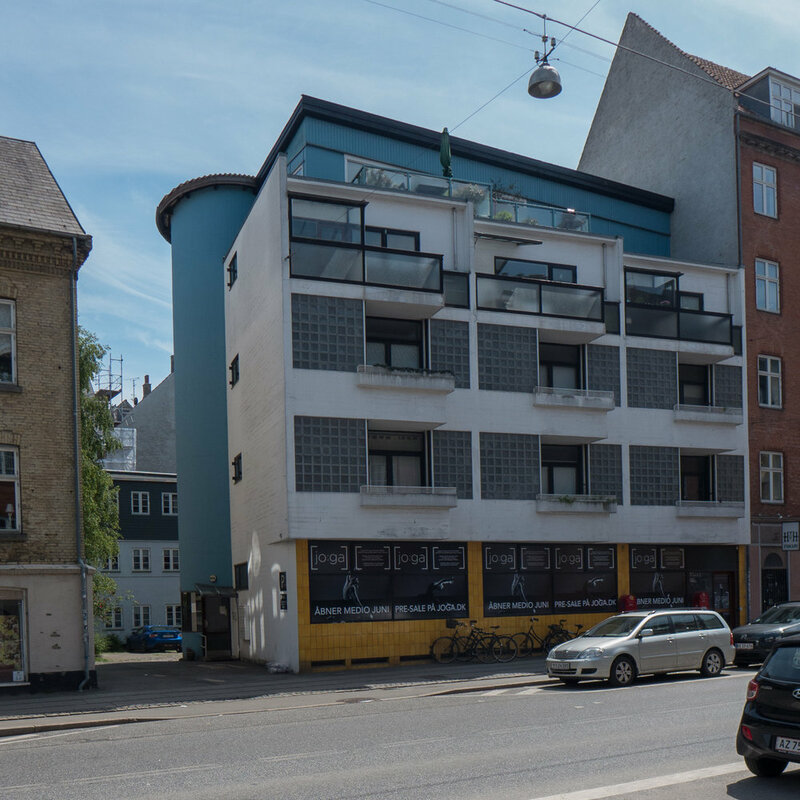 With Børge Mogensen - who he knew from the School of Arts and Crafts - Wegner was commissioned by Frederik Nielsen of the Danish Cooperative Union (FDB) to design a range of good, well-made furniture to be sold at a reasonable price that could be afforded by couples and young families living in smaller houses or two and three-room apartments. 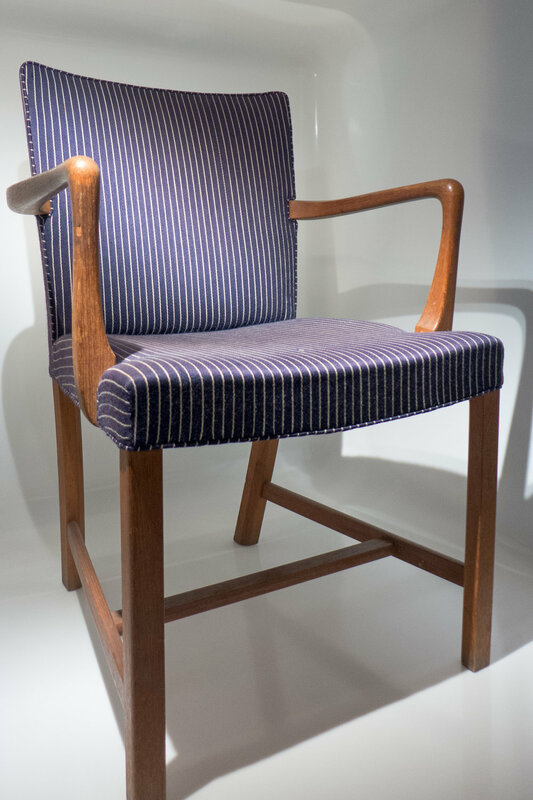 Designs from this early period of the FDB included the so called J39 - a chair designed by Børge Mogensen that was also inspired by Shaker design - with a ‘Shaker’ table or Shakerbord C18 and a version of the rocking chair from 1944 by Wegner but with thin curved horizontal slats across the back - closer to the style of the Shaker chair but slightly more robust. 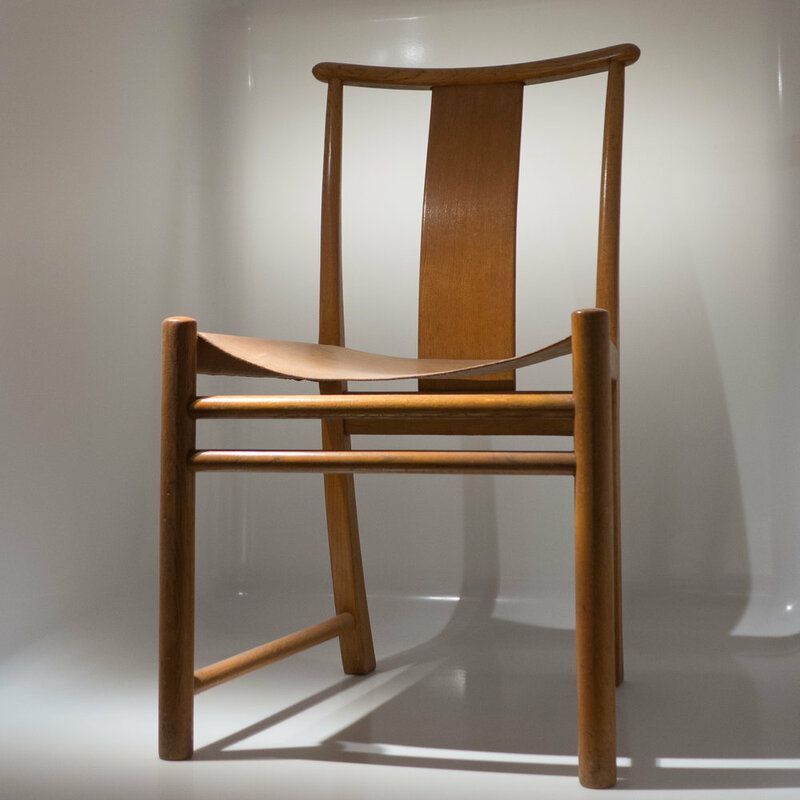 The rocking chair by Wegner is wider than the Shaker chair and was advertised as a nursing chair for young mothers. 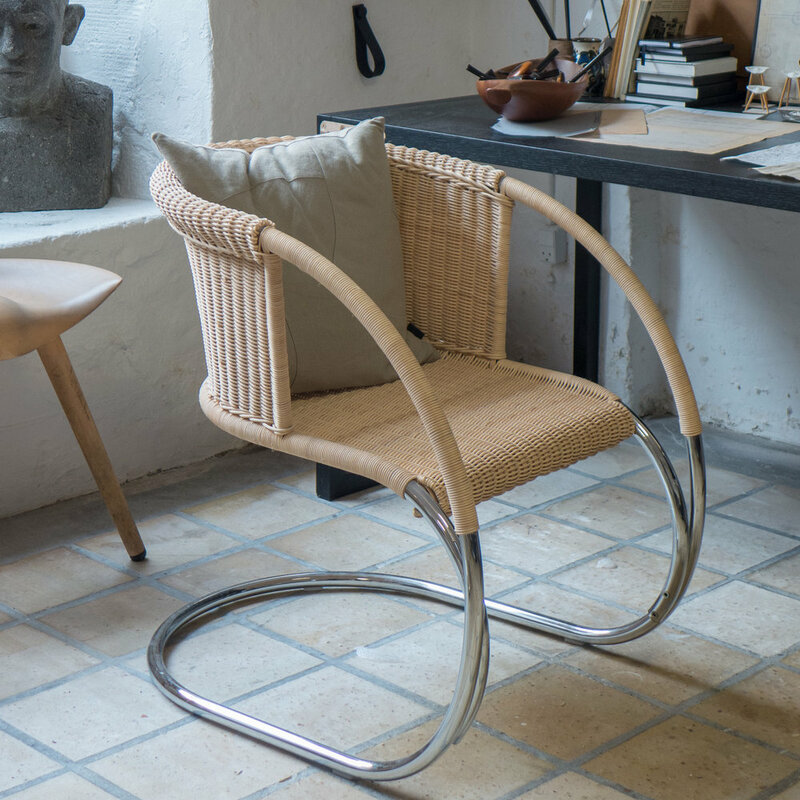 The version of the rocking chair with Shaker-style horizontal slats across the back for FDB was made by Tarm Stole- & Møbelfabrik but Carl Hansen & Son made the version of the rocking chair with vertical spindles across the back - model CH45 - from 1965 onwards and Fredericia still make a version of the J16 Rocking Chair in oak or beech with the seat in woven cord. 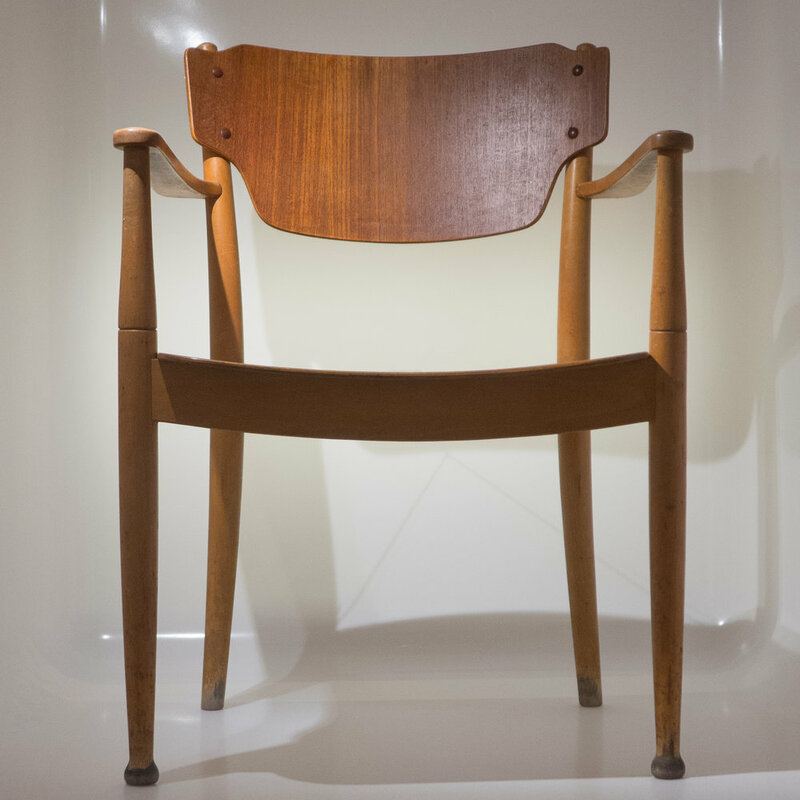 In 1944, Finn Juhl was in his early 30s when he designed the NV 44 Chair. 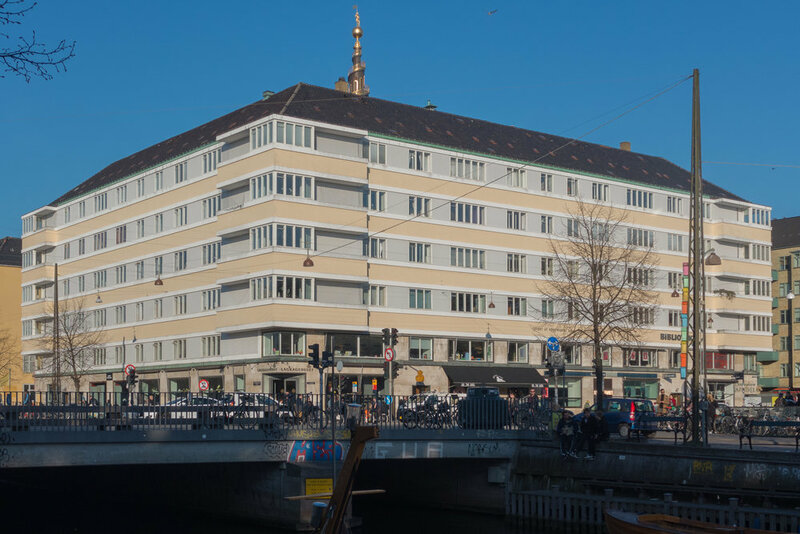 NV are the initials of the cabinetmaker Niels Vodder. 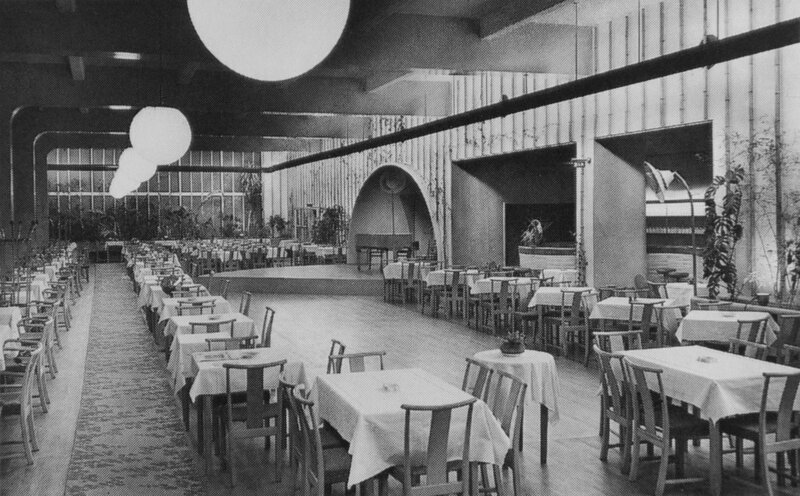 Juhl first collaborated with Vodder in 1937 and they worked together on many designs through until 1959. 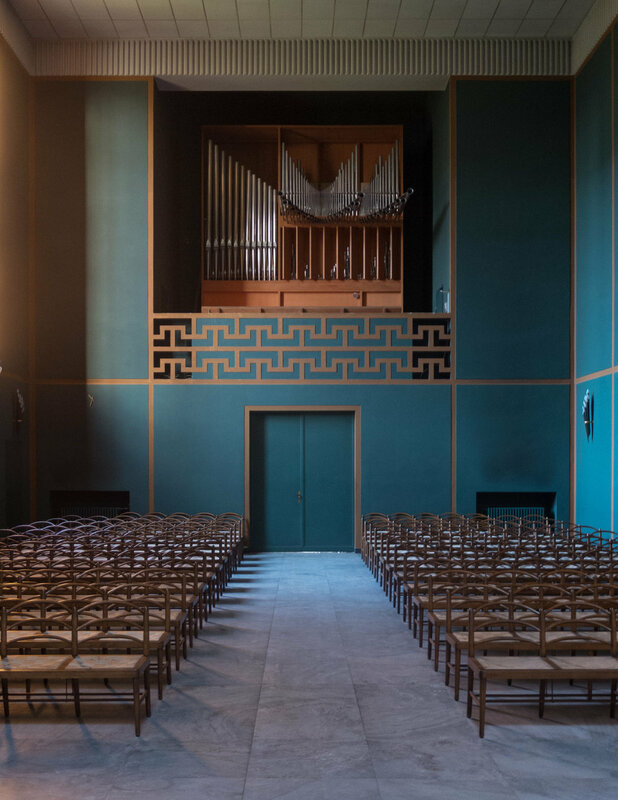 From 1930 to 1934 Juhl had trained as an architect under Kay Fisker at the Royal Danish Academy and then worked in the architectural firm of Vilhelm Lauritzen for ten years although increasingly he focused on interior design and on designing furniture. 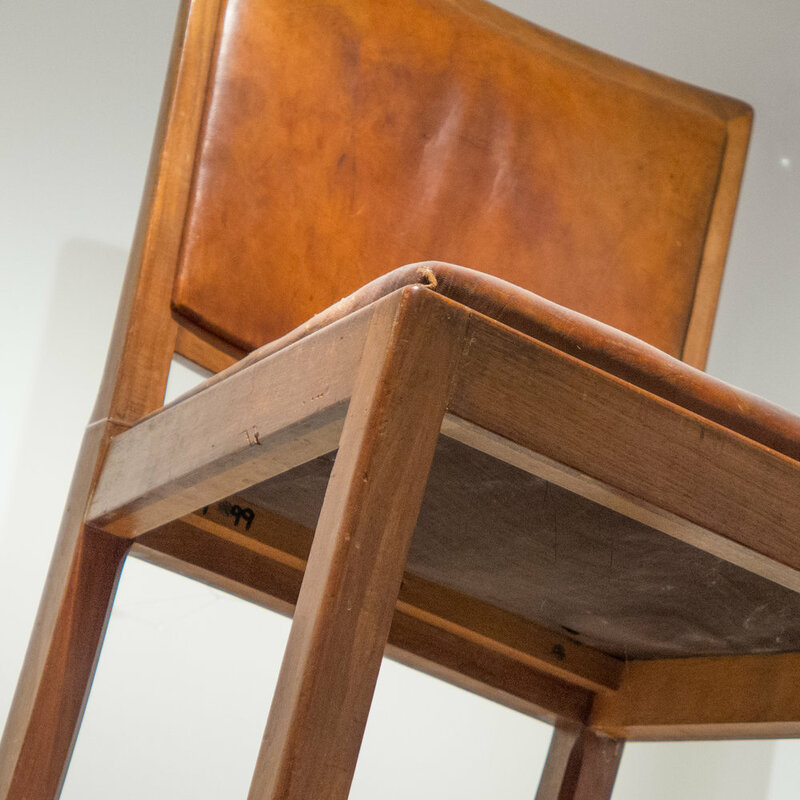 This chair came at a turning point in his career and in 1945 he left Lauritzen to set up an independent design company and his reputation now is based on his furniture designs rather than his work as an architect. 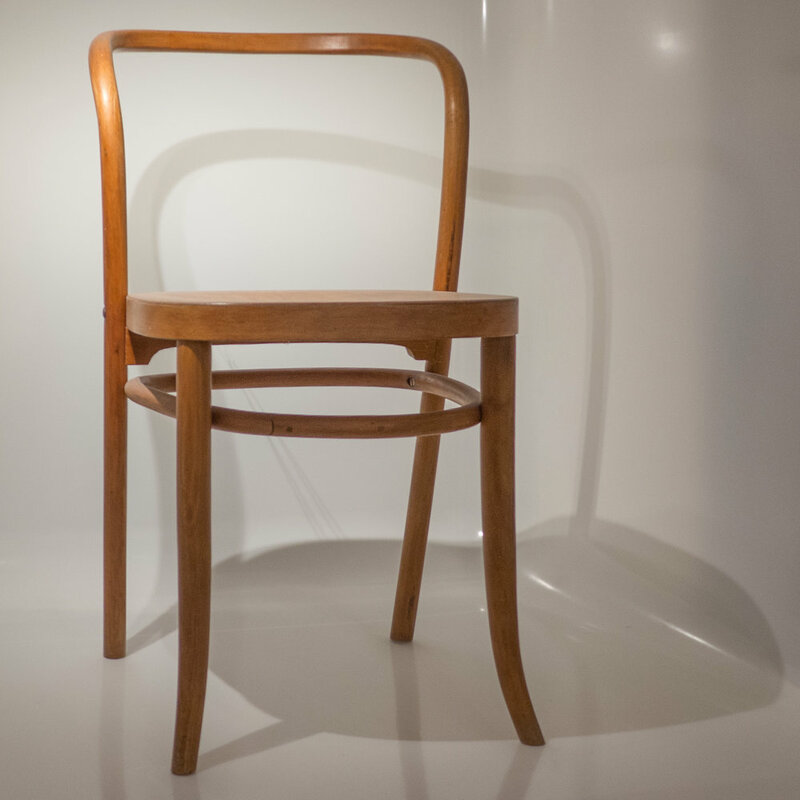 The NV 44 chair is quite a virtuoso piece with shapes and lines curving and flowing through different planes. 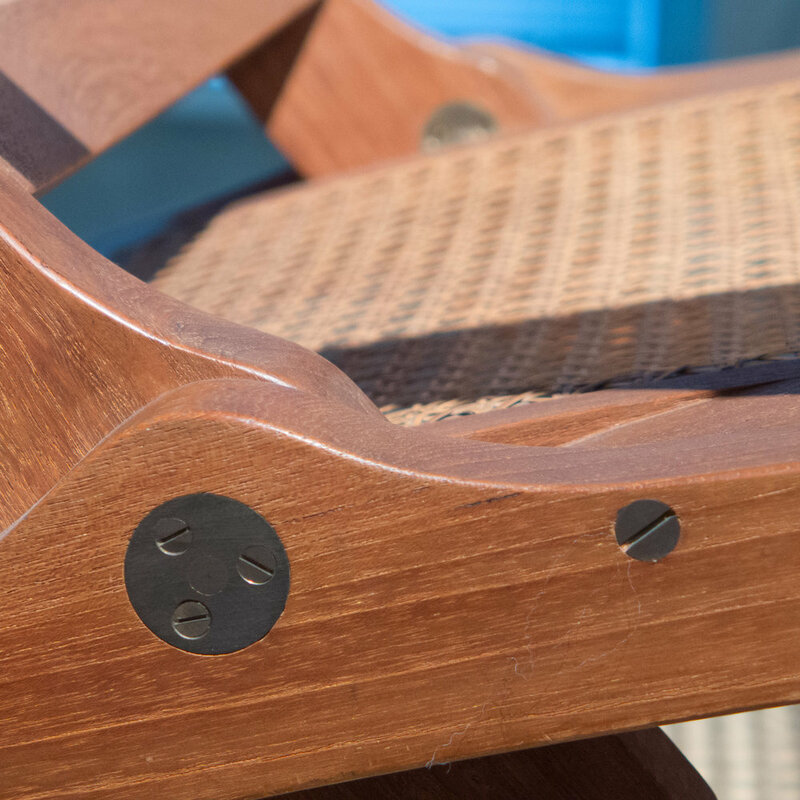 An English form of chair called a balloon back has a similar line for the back with the back legs flowing up in a single curve into the rounded arch of the top of the back rest but here the arm rests also flow round and through the same shape so it looks almost as if it should be made in a mould rather than constructed from separate pieces of shaped wood. 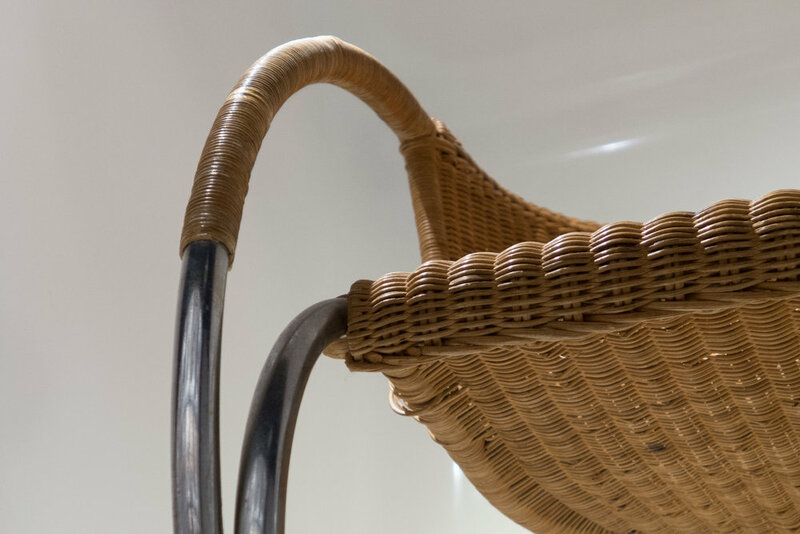 There are interesting technical details like the side braces that, rather than running between the back and the front legs, are set at a sharp angle to run up from the back legs to the centre of the front frame of the seat forming a V shape. 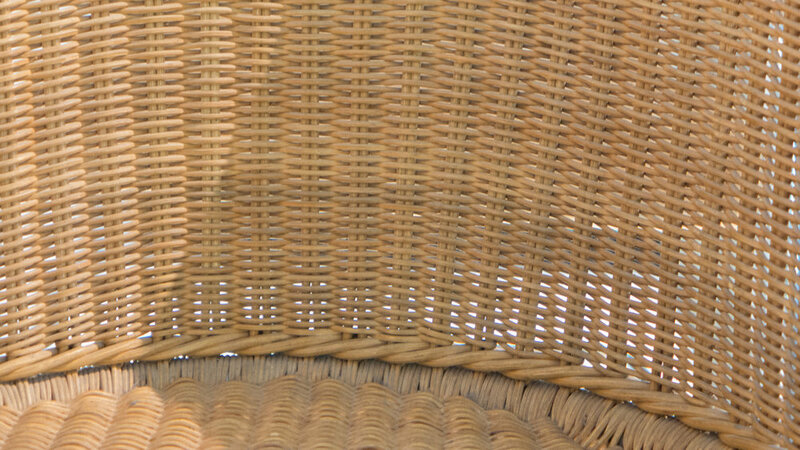 This means that in silhouette the space between the legs looks uncluttered. 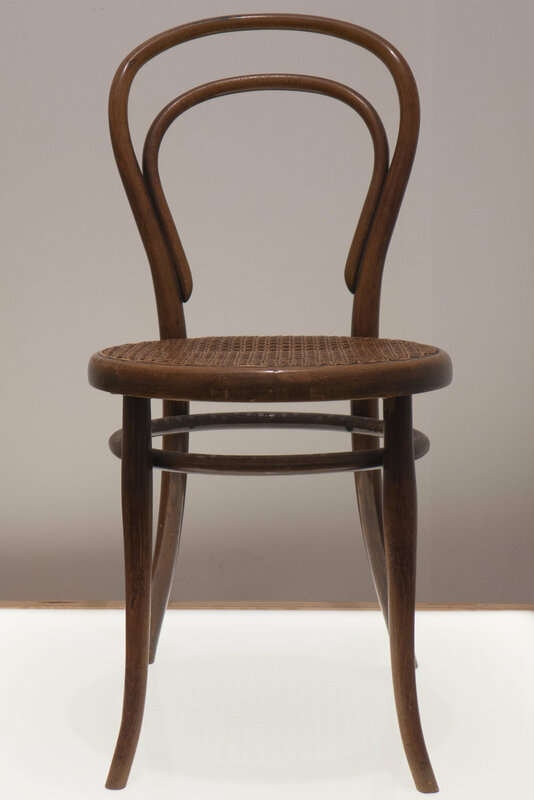 On balance, the design seems more dated, more fixed in the 1940s, than Wegner’s comparable chair, The Round Chair, from 1949. 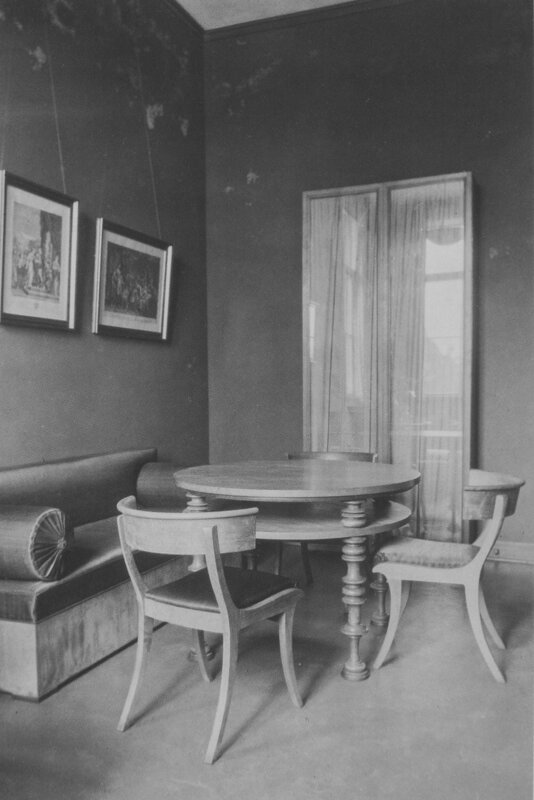 Perhaps it is the deep leather-covered seat although that too is given a rounded shape … earlier leather chairs would normally have had flat front and side rails with the leather fixed by a line of nails along the bottom edge … as with the Red Chair and the arm chair from Rud Rasmussen both designed by Kaare Klint in the late 1920s. 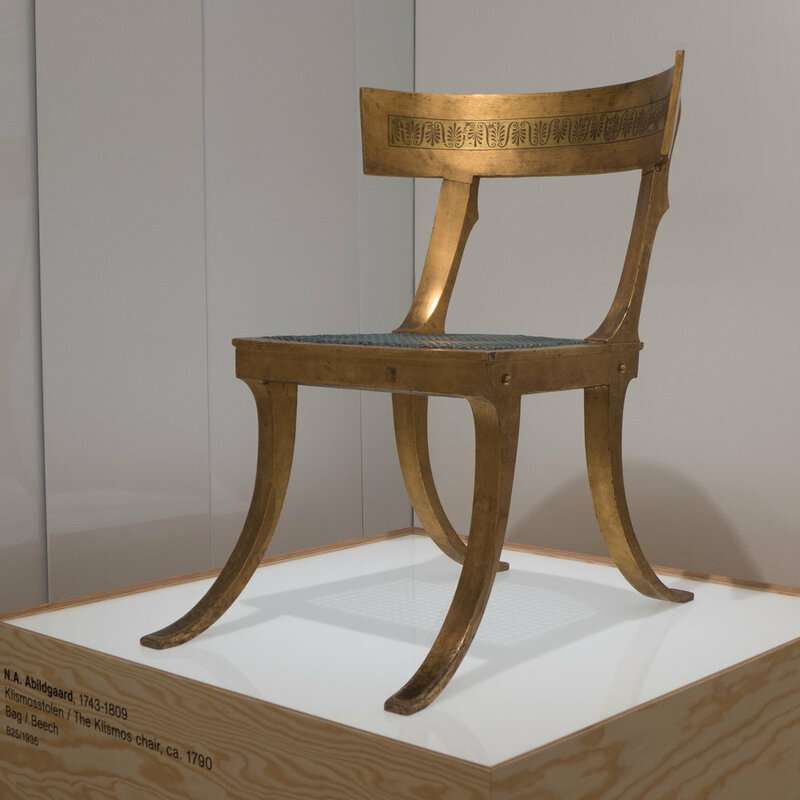 This comparison with the work by Klint shows just how much the form of armed chairs in Danish design changed over less than 20 years from something solid and robust, still linked to cabinetmaker’s work of the late 19th and early 20th centuries, to a style that was fluid and sculptural. 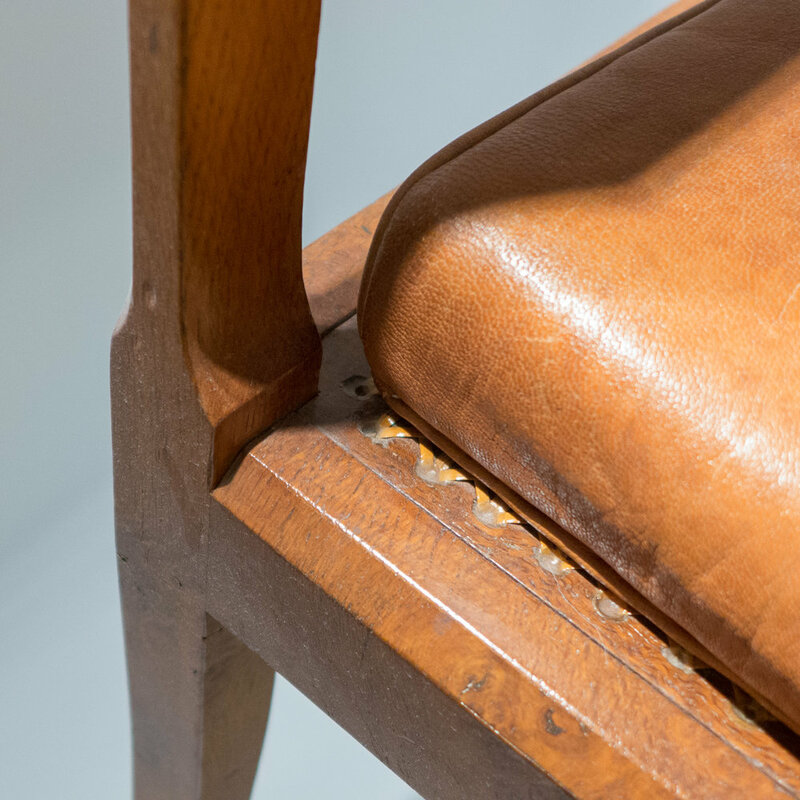 The Portex range of furniture was designed to be exported, so there was a desk where the legs could be unscrewed and shipped in the desk drawer, although this chair, actually, was shipped assembled. 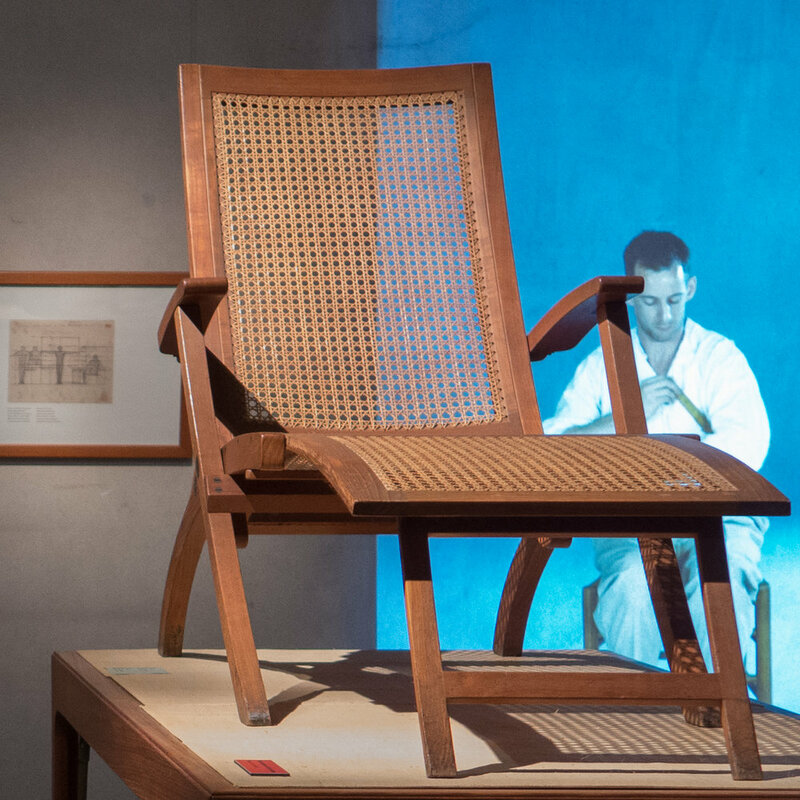 The designers themselves explained exactly why and in doing so explain functional aspects of the chair that were taken into account in its design. 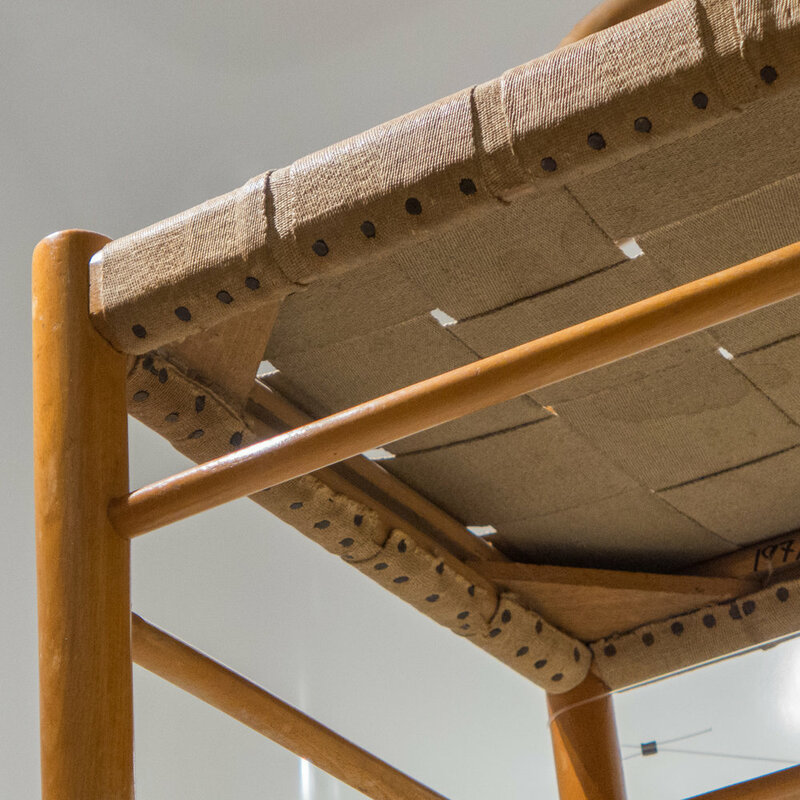 "While we realized the necessity of being able to dismantle or fold up cupboards, tables and beds during transport, we did not dare use these principles for chairs. 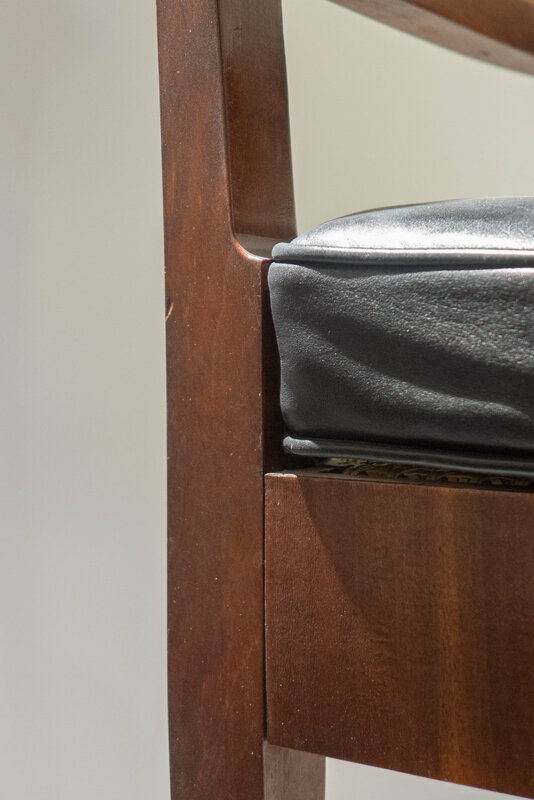 A chair screwed together that might be quite stiff to begin with will never in the long run be able to stand up to the stress that it will invariably be subjected to. 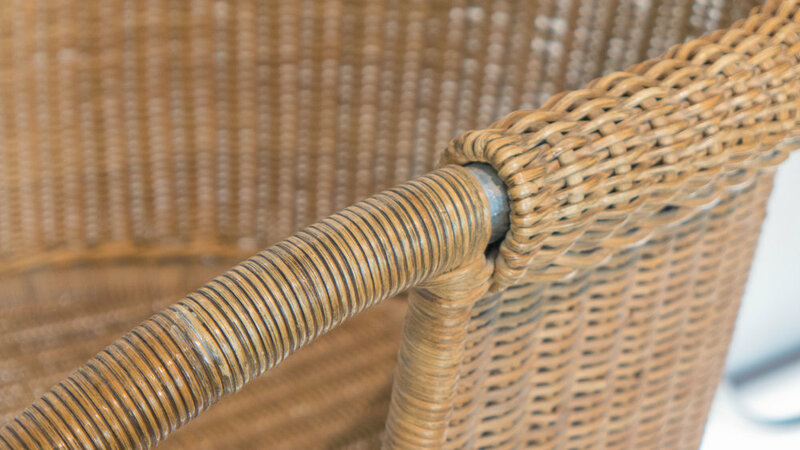 A chair must often bear great weight, must be able to tolerate being tilted, and will be moved more or less brutally throughout the day. The screw would work in its hole under these stresses, and in the end will loosen. 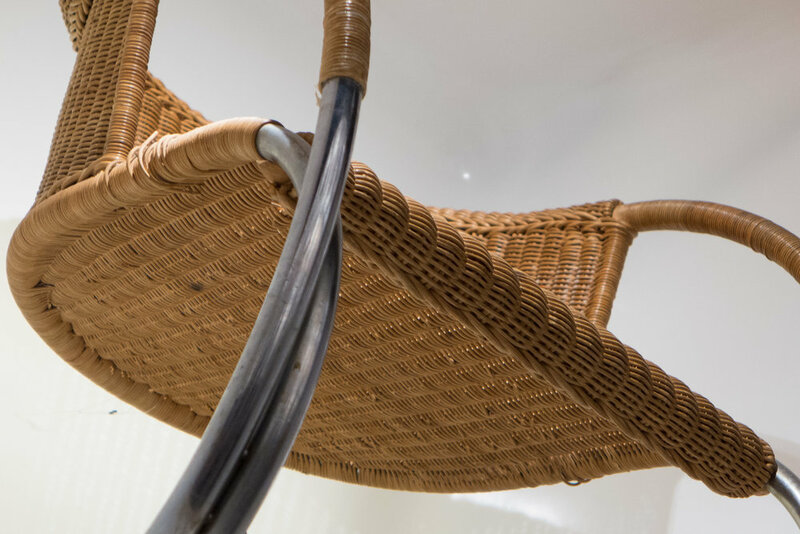 The stacking principle was chosen since it has the advantage that the chair could be assembled and finished at the factory. The disadvantage was that the known stacking chairs shows clear signs that they can be stacked." 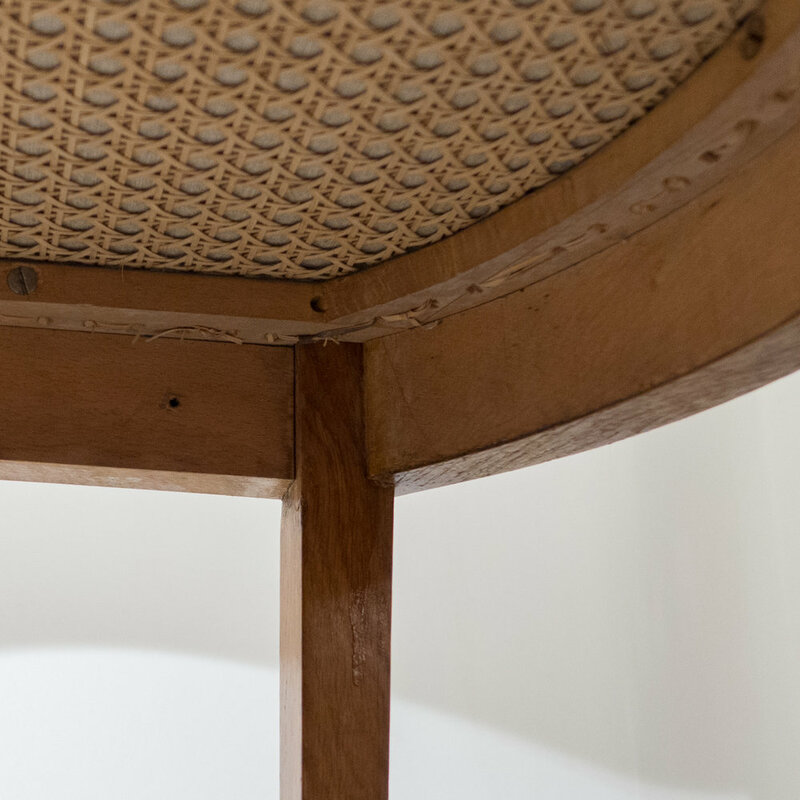 The chair was inspired by a Shaker chair although, unlike Shaker chairs, it can be stacked. 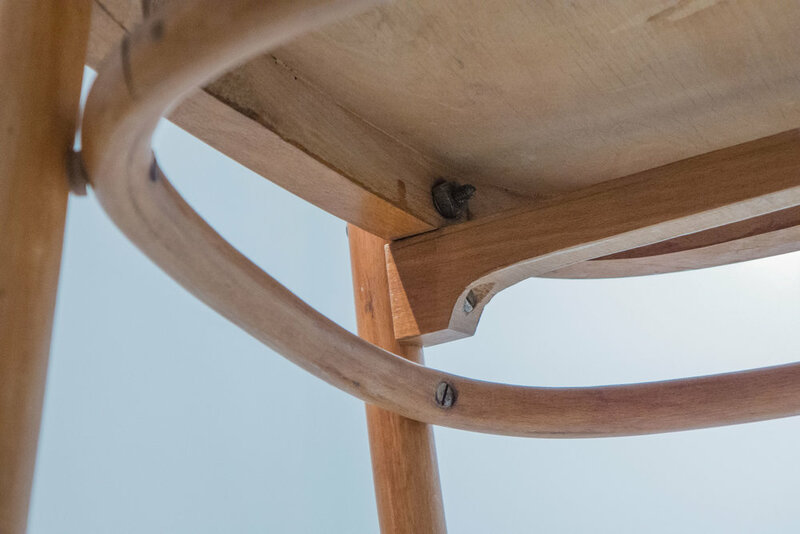 The frame of the seat is interesting with main cross bars between the front legs and between the back posts with the plywood seat over-sailing the front frame rather than being set into a rebate - so making the thin seat a distinct feature. 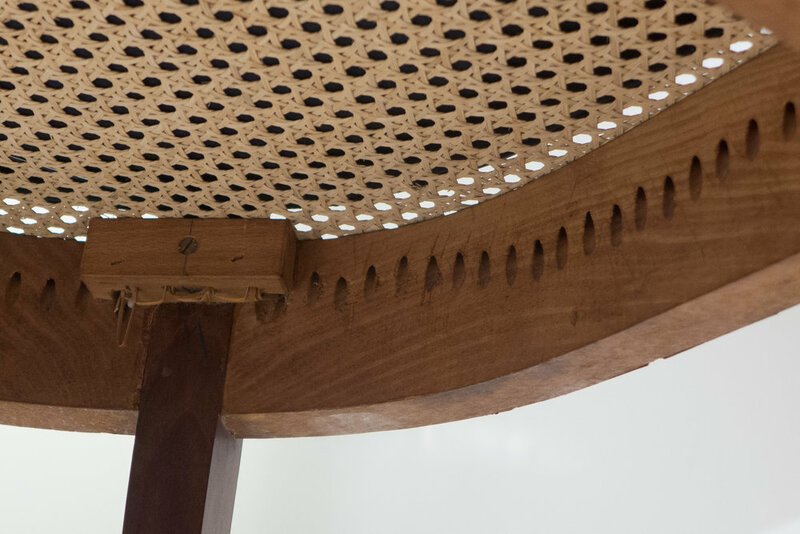 There are timbers running front to back on each side, at an angle, to form the trapezium shape of the seat so that back legs of a chair on top can be slotted down on either side of the seat below when the chairs are stacked. 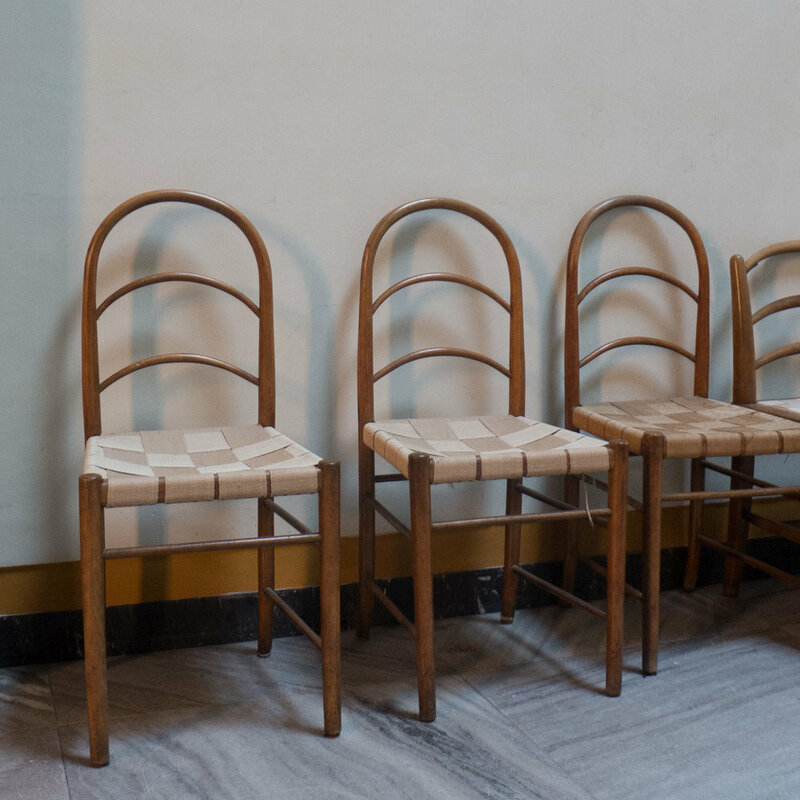 These pieces of timber for the frame are much taller than they are thick - in part because the cross pieces have to be housed into legs with a round rather than a square cross section - so the thickness has to be limited - but it also keeps the frame as light as possible although this was clearly still a fairly robust chair … chairs that can be stacked tend to come in for rather more rough treatment than chairs left in place around a table or left permanently in rows in a meeting room.